South Africa captain Faf du Plessis had been ruled out of the entirety of his side’s series against Zimbabwe with a right shoulder injury, but a faster recovery than expected means he will return in the final ODI. South Africa have already sealed the series, leading 2-0 with a game to play, but du Plessis said that there is still plenty to play for. “The guys have been training hard,” Du Plessis said. “I have also been training hard with the guys and I’m feeling excited to be back on the field again. The guys are motivated, we are not only looking at what is in front of us now, there is a bigger purpose and push for what lies ahead. “At no stage will we be taking it easy. The guys are still trying to impress and are trying to get into that World Cup side. The players are motivated and driven to put in performances to put their names into the hat for the World Cup selection. 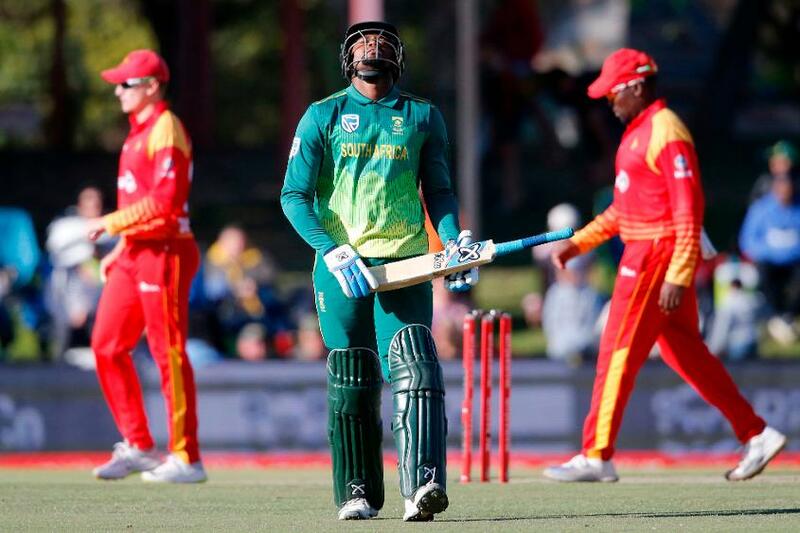 Though they’ve won both ODIs comprehensively so far, South Africa haven’t had things entirely their own way, slipping to 58/4 in the first game and 101/7 in the second. 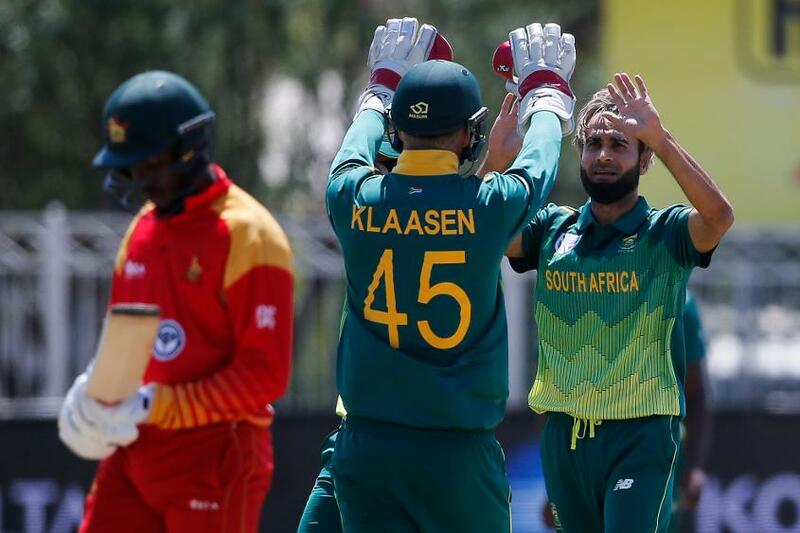 Du Plessis said that tricky batting conditions have been partly to blame for the lack of success, and is hoping for an improved showing in the final ODI. “The bowling has been exceptional once again,” he said. “We have some good wicket-taking options throughout the innings. That is what we are working to get better on, from overs 11-50, we want to keep getting wickets, Imran (Tahir) has been exceptional. “With the batting, it is too difficult to say where we have been leaving it too short or where we have been good because it has been quite challenging for the batsmen. One or two guys have been looking good but from a batting-unit point of view it has been tough for the guys. The final ODI will take place at Boland Park, Paarl, on Saturday, 6 October.